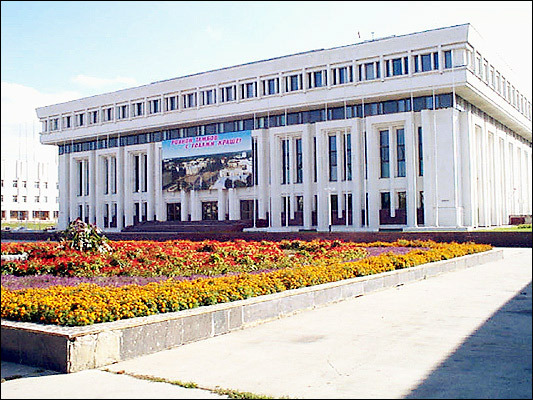 Tambov State University is one of the best higher education establishments in Russia. It contributes remarkably to the country's development and prepares qualified specialists in more than 100 specializations in the fields of medicine, economics, nanotechnologies, IT, industry, culture and arts. The University comprises of 15 academic departments: 3 Academies, 11 Institutions and 1 Faculty. Around 15000 students from different countries of the world are currently studying in the University. • The Faculty of Medicine is ranked among the best schools in Medical Studies in Russia. The institution has the privilege to enroll, undergraduate and postgraduate students, from over 25 countries. • The scrupulously planned syllabus, for undergraduate and postgraduate medical studies, is recognized by WHO (World Health Organization), MCI (Medical Council of India), USMLE (Unites States Medical Licensing Examination), HPCSA (Health Professions Council of South Africa), SCHS (Saudi Commission for Health Specialties), and BMC (British Medical Council) etc. The Medical Faculty of the Tambov State University deserves particular attention. Learning is based on new educational technologies and the best achievements of the national and world medicine. • The University carries out a successful international co-operation policy. More than 100 educational and scientific establishments from Germany, Italy, the USA, China and other countries of Europe, Asia and America are among those who partner with the University. • All the international students admitted to the University are provided with accommodation in a students' hostel for the entire period of their study.